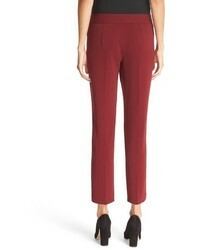 If you're scouting for a casual yet totally stylish ensemble, reach for a grey knit vest and burgundy skinny pants. Both pieces are totally comfy and will look fabulous together. Black suede pumps will add a touch of polish to an otherwise low-key look. 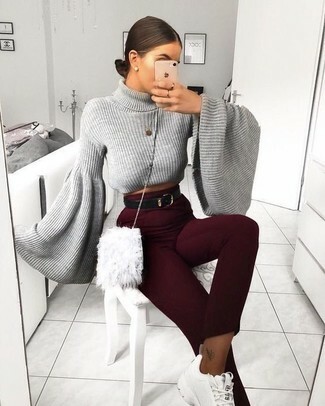 For a cool-meets-absolutely chic getup, try pairing a grey turtleneck with burgundy skinny pants — these items play really nice together. A pair of white athletic shoes ads edginess to a femme classic. If you're hunting for a casual yet totally chic outfit, consider teaming a grey duster coat with Milly cady skinny ankle pants. Both garments are totally comfy and will look fabulous together. Amp up the cool of your outfit by completing it with black leather ankle boots. If you're on the hunt for a casual yet totally stylish ensemble, consider teaming a charcoal plaid wool blazer with Milly cady skinny ankle pants. Both pieces are totally comfy and will look fabulous paired together. 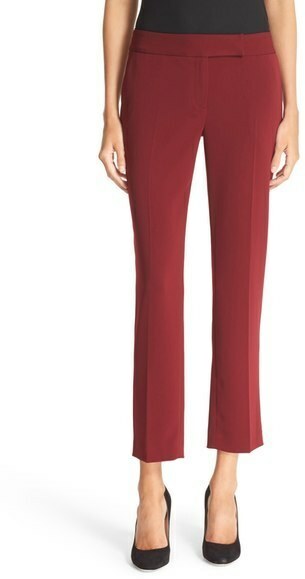 Lift up this ensemble with white leather pumps. 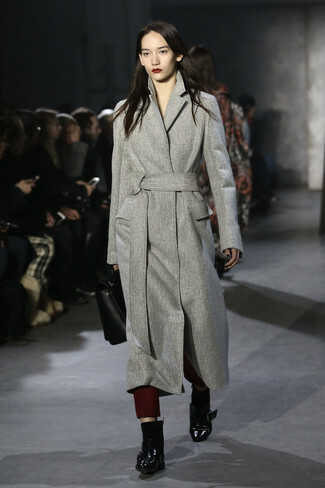 If you're after a casual yet stylish outfit, consider teaming a blue pea coat with burgundy skinny pants. Both items are totally comfy and will look fabulous paired together. When it comes to footwear, this getup is round off well with black embellished suede loafers. For a smart casual outfit, try teaming an orange coat with Milly cady skinny ankle pants — these two pieces the office perfectly well together. Round off with gold leather heeled sandals and off you go looking smashing. 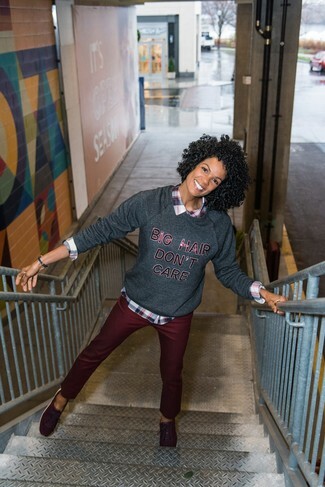 If you're on the hunt for a casual yet totally stylish getup, marry a red oversized sweater with Milly cady skinny ankle pants. Both items are totally comfy and will look fabulous paired together. To add oomph to your look, complement with red leather pumps. If you're scouting for a casual yet stylish outfit, team a charcoal print crew-neck sweater with Milly cady skinny ankle pants. Both pieces are totally comfy and will look fabulous together. For something more on the daring side to finish off this outfit, choose a pair of burgundy low top sneakers.